These decorative pumpkin shakers will be a welcome addition to your Halloween party table. Crafted in glazed ceramic and nice enough for everyday use. 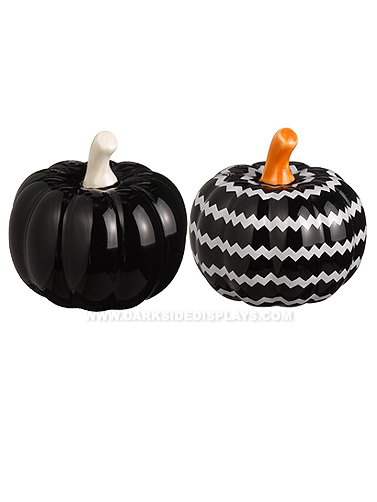 Includes one solid pumpkin shaker with a white stem and the other has a black and white striped print with an orange stem. Black Mini Pumpkin Shakers measure 2"W x 2"H. 2 pc.